“Things” editor, distribution editor, correspondent for progress — as newsrooms change, so do the ways they organize their human resources. Aug. 25, 2014, 3:41 p.m.
By Ken Doctor @kdoctor Aug. 25, 2014, 3:41 p.m.
Gannett is right: Newsroom job titles do matter. The largest newspaper company in the United States is revising its job titles, bringing in some that would have seemed foreign to newsrooms not all that long ago — including content coach, community content editor, and engagement editor. 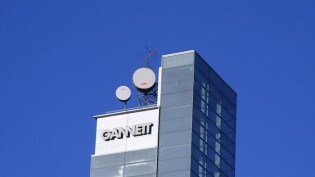 Gannett is making these changes as part of a broader initiative to create “newsrooms of the future.” So what do those heading up newer digital-only news sites think about them? When I started The Correspondent, I consciously chose not to introduce traditional titles. Instead, I let every correspondent come up with the job title that matched their personality and journalistic mission the most. Now we have job titles that seemed peculiar at first, but really fit the journalist very well, like Correspondent [for] Progress (he writes about how the world gets better every day); a Correspondent [for] Privacy and Surveillance; we even have a Correspondent [for] Peculiar People. Those titles are very important because it reinforces the mission a correspondent sets for him or herself. We do have some traditional titles like editor-in-chief [Wijnberg] and publisher [Ernst Jan], but only because the outside world has to know who is in charge of what. Internally, those titles are less important. The title “editor-in-chief” is even applied to all editors, because I say to them that they are editor-in-chief of their own blog (which reinforces the responsibility for their publications: they don’t write for the platform, they write for their own audience, which is very different). One of the first things I did when I became editor-in-chief for NRC Next was to get rid of the newsroom titles like “foreign desk,” “economy desk,” for two reasons: (1) These desk names reflect the world as it was in the ’70s and ’80s, with the cold war at its height, when countries, borders, and “national economies” mattered a lot more than they do in a globalized world. (2) People tend to use these desk names as judicial borders: “We” only write about economy because “we” are the economy desk, “we” don’t write about that, because that’s in a foreign country, etc. In that way, it stimulates tunnel vision. I wanted non-economy journalists writing about economy, and foreign correspondents writing about Holland as well. At two-year-old startup Quartz, reporters’ titles look fairly traditional (as do BuzzFeed’s). The beats correspond somewhat with the site’s “obsessions” identity; that’s similar to De Correspondent’s notion of news people following passions. Interestingly, it is editors’ titles that have been more flexible. I was global news editor until recently and that meant editor of most everything that wasn’t op-ed. Now I’m just called senior editor, but my job includes being features editor, overseer of the Daily Brief, and house style guardian. The new global news editor, Heather Landy, has a somewhat narrower job than I did because our staff has grown. Zach Seward is senior editor and creative director, and that means part product development for the site, part head of the “Things” team (interactives and data journalism), and various other things. I’d say our titles have served more as placeholders than as descriptors. Each role, especially the more senior ones, has had to be pretty flexible to suit changing needs. That’s the nature of a small and growing outfit as much as it is the nature of a digital one. I’d say we pay more attention to the things that need to be done and figuring out who should “own” them, rather than trying to define roles. But I would assume any startup is like that. Finally, we can look to another veteran of the traditional press, former Philadelphia Inquirer editor Robert Rosenthal, who has pioneered a groundbreaking new model with the muscular Center for Investigative Reporting. Rosenthal sees the same thing that Gannett execs see: the need to create new jobs that meet the demands of the digital world. Nearly five years ago we came up the job of distribution editor and engagement specialists. That role has morphed for us into…one job because of our strategy. We not only distribute the content, we engage with the publisher, their audience and our audience. It’s not something I would have thought about very much when I was the editor of The Inquirer…The digital content creators are again clear titles that reflect their skills. I can remember thinking we needed new titles as we added staff and were creating jobs that did not exist in the traditional newspaper newsrooms I had spent my career in. Coming up with the titles is, in a sense, the easy part. From his experience, Rosenthal precisely lays out the challenge that Gannett, Advance, and all new re-shapers of newsrooms face. The first step is thinking about what you need and then creating the new jobs. Then, having the vision, commitment and strategy to make sure they succeed and that everyone in the newsroom understands what they do and their value to them. And, of course, that they have the skills to deliver. Photo of imaginary org chart by Jim Parkinson by Nick Sherman used under a Creative Commons license. POSTED Aug. 25, 2014, 3:41 p.m. Doctor, Ken. "What’s in a name? Three startups talk about the value of newsroom titles." Nieman Journalism Lab. Nieman Foundation for Journalism at Harvard, 25 Aug. 2014. Web. 18 Apr. 2019. Doctor, Ken. "What’s in a name? Three startups talk about the value of newsroom titles." Nieman Journalism Lab. Last modified August 25, 2014. Accessed April 18, 2019. https://www.niemanlab.org/2014/08/whats-in-a-name-three-startups-talk-about-the-value-of-newsroom-titles/.